John Clayton is a contributor to Writers on the Range, the opinion service of High Country News. He is a writer in Montana whose new book is Wonderlandscape: Yellowstone National Park and the Evolution of an American Cultural Icon. After a tour of his ranch, Lon Reukauf sat restlessly at the front of a banquet room in Terry, Montana, waiting for the panel discussion to start. He was surrounded by experts from the Montana Stockgrowers Association and the World Wildlife Fund. The groups had combined to give Lon an environmental stewardship award and then invited a bunch of us here to see why. Lon knew that most eyes in the room were on him, and — like most ranchers I know — the attention made him uncomfortable. He’s not a public speaker, doesn’t seek the spotlight and prefers to spend most of his time surrounded by cows, with their heads down and grazing. “Sitting here in front of 50 strangers, I’m certainly out of my comfort zone,” he said. So he concentrated on what he knew best. He spoke about grass. It’s the native grasses, in a healthy variety, that make for the best beef, he said. The soil does better by them too, he added, as do other species, especially the grassland birds that have been declining in population. Western wheatgrass, blue grama grass, green needle and the needle-and-thread grasses growing on his ranch offer a better spectrum of nutrients than exotic species such as crested wheatgrass, which was widely planted during the 1930s as a way to fight erosion. Cattle graze at the Lonesome Dove Ranch in Montana. Like a chef showing off the qualities of marble in a steak, Lon could compare the characteristics of various grasses, noting, for example, how they differ in the timing of their period of fastest growth, which helps to show how they contribute to the quality of the final product. He could talk about which conditions make the grasses thrive and which leave them vulnerable to invaders. 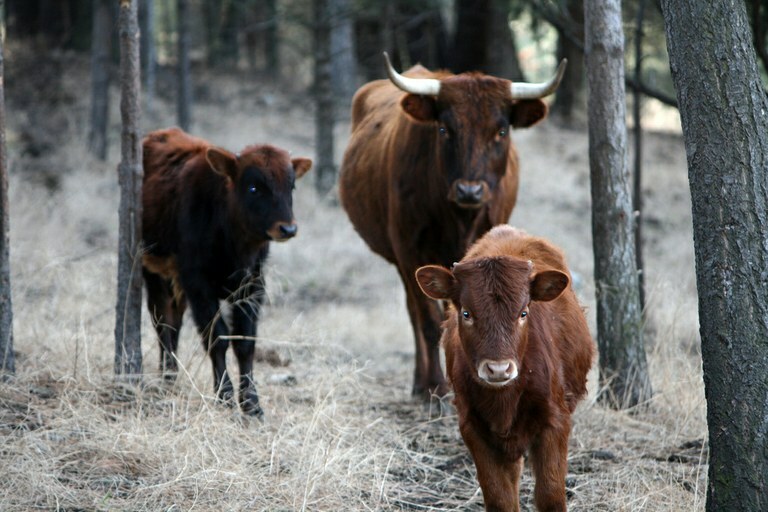 He seemed particularly pleased that the World Wildlife Fund had endorsed well managed cattle grazing, because for decades some environmentalists have clashed with ranchers over public-land grazing. At this get-together, though, all agreed that good grazing can promote good grass. As he talked about grass, Lon relaxed. The spotlight was no longer shining on him but rather through him — onto the complex systems that he spends his life observing and nudging. “The grasses and other plants are the foundation of everything we do,” he said. The cattle were just harvesters, and he was just trying, in one corner of Montana, to make that process a little more productive. He didn’t seem to care much for the word sustainability, but his humble view of that large process certainly brought the concept to my mind. Indeed, his talk reminded me of those menu listings: What’s on your plate is part of a larger process here. Let’s push the credit upstream. But why did I have to go to a ranch to learn about the role of grass in this process? When it comes to imparting a message of sustainability, isn’t it better for a menu to say that a certain steak is nurtured by, say, western wheatgrass than by the individual rancher who manages that grass? And likewise for vegetarians, that these particular lentils are nurtured by soil tillage, phosphorus levels, and — at the risk of completely turning the menu into a dictionary — Rhizobium microsymbionts? Such a strategy would also keep the spotlight off a bunch of agriculturalists who would rather people knew about their struggles than recognized their names. That was what I had learned as well, and what I wouldn’t mind learning from the menus of farm-to-table restaurants.